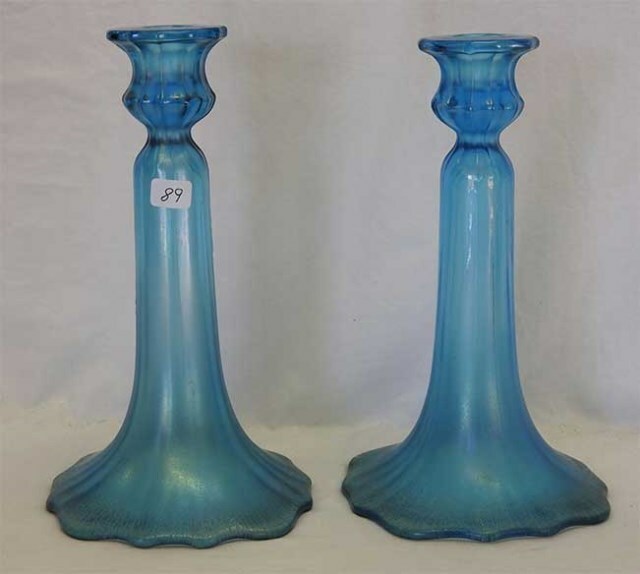 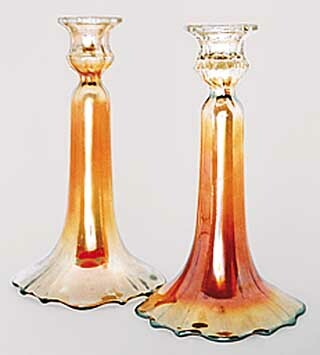 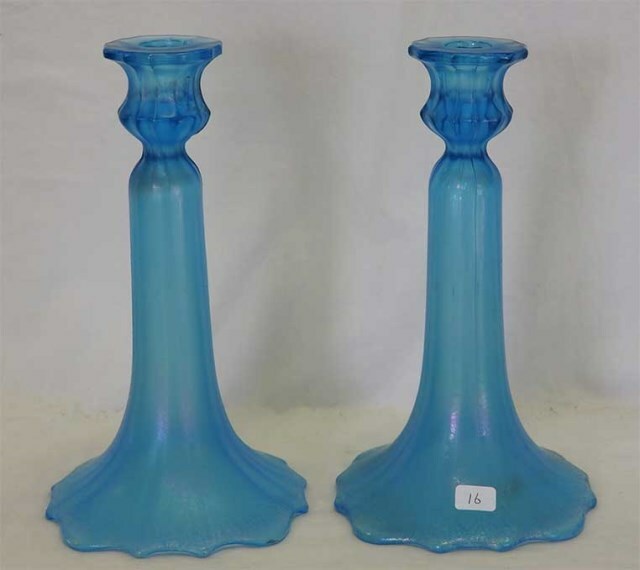 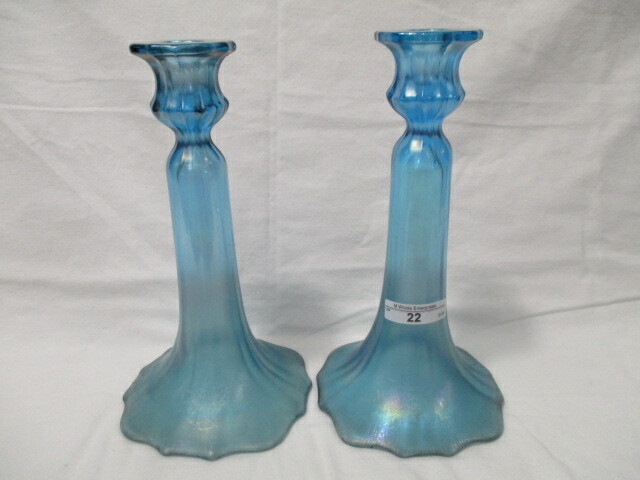 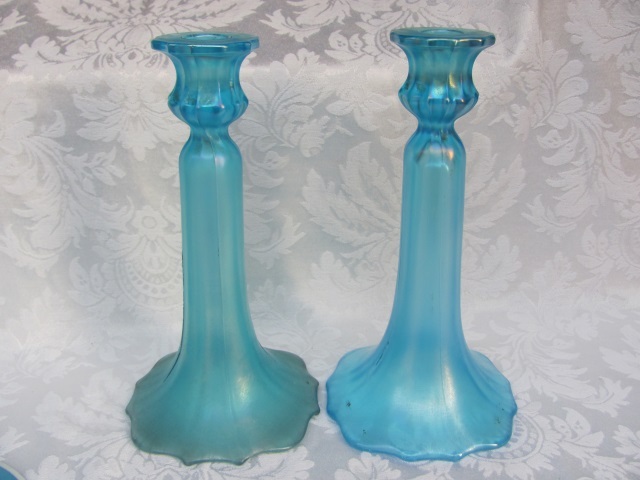 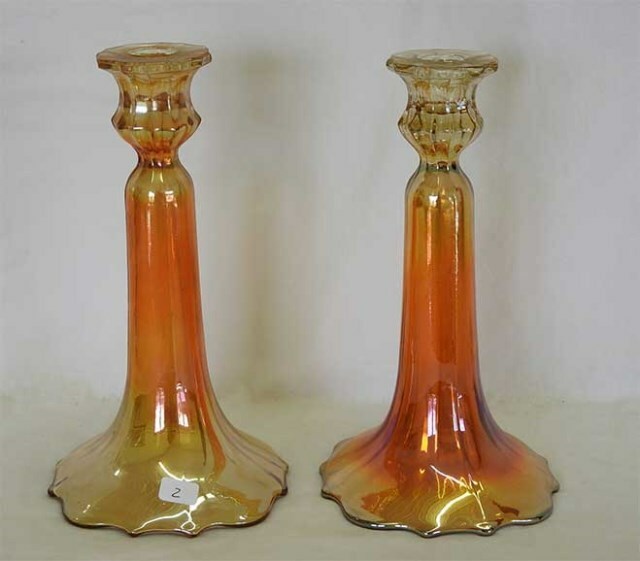 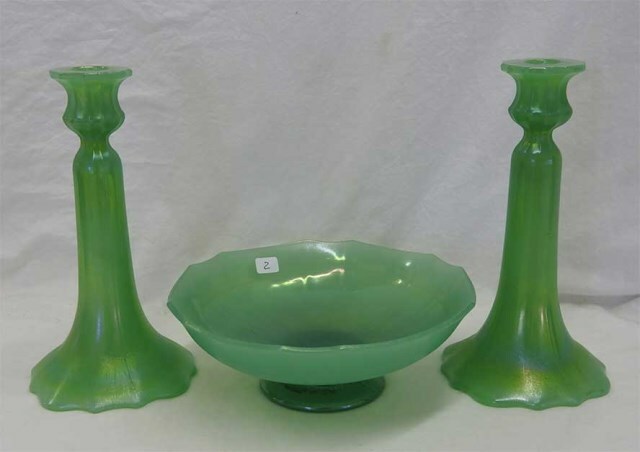 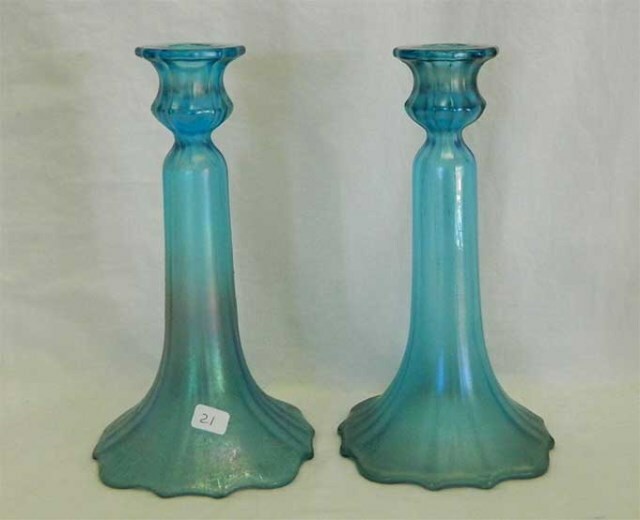 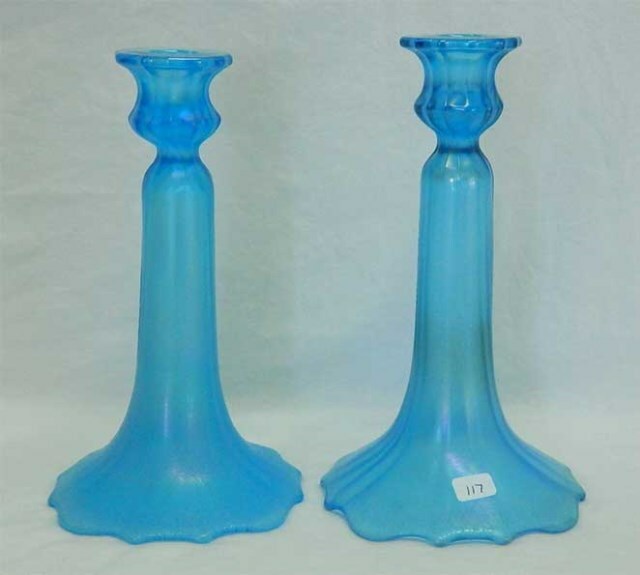 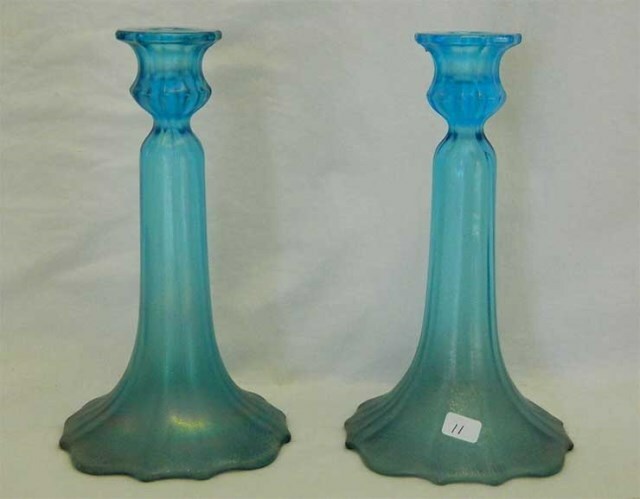 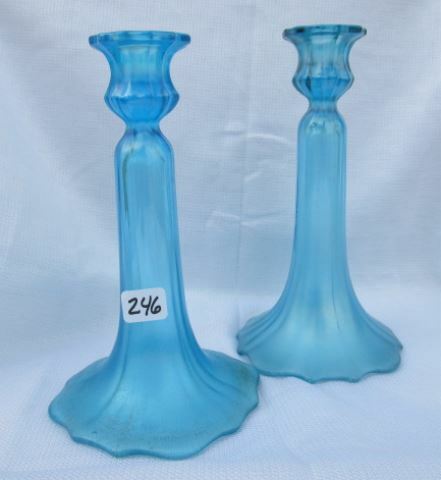 The 5 1/4-inch base is scalloped on these 9-inch tall candleholders. 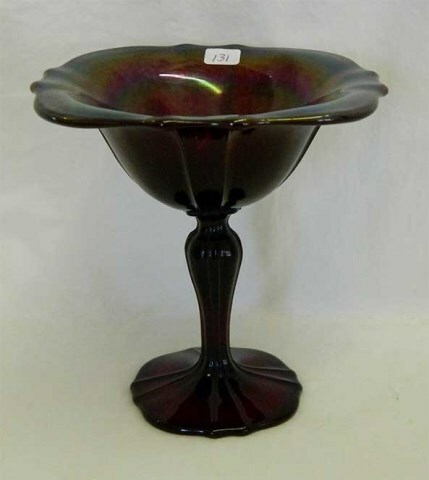 The base is hollow up to the candle cup. 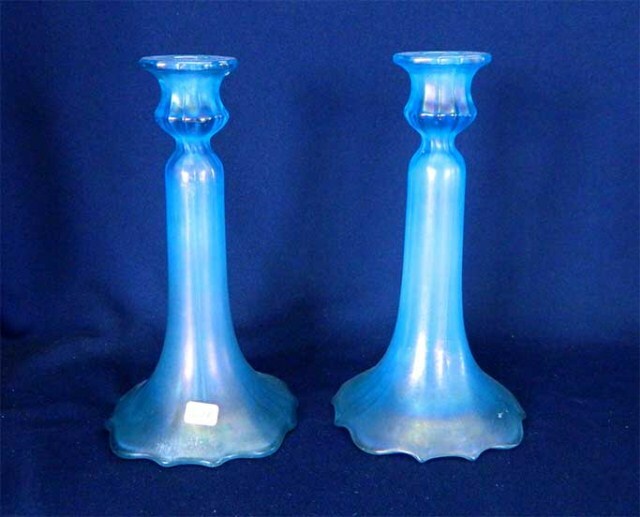 In addition to the marigold shown, they are reported in blue, ice blue, jade green, and opaque yellow. 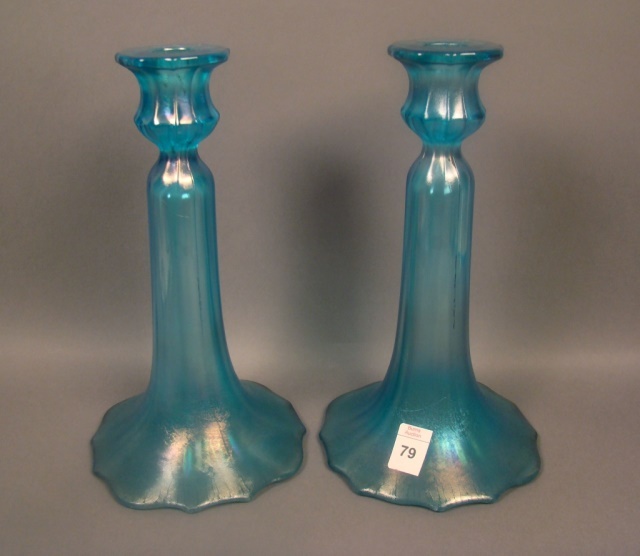 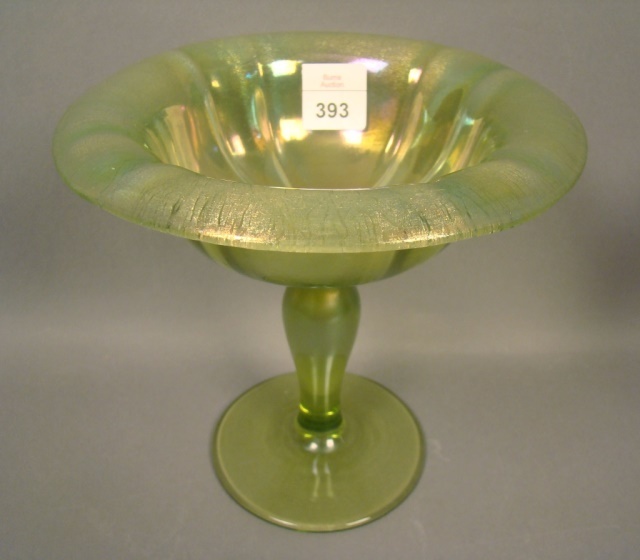 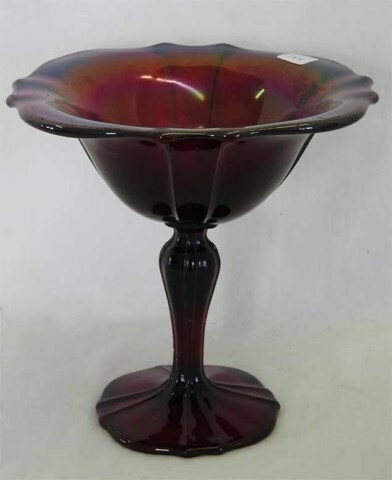 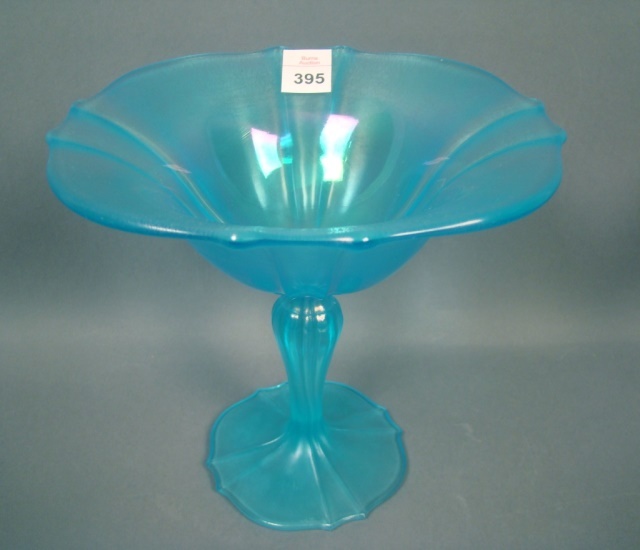 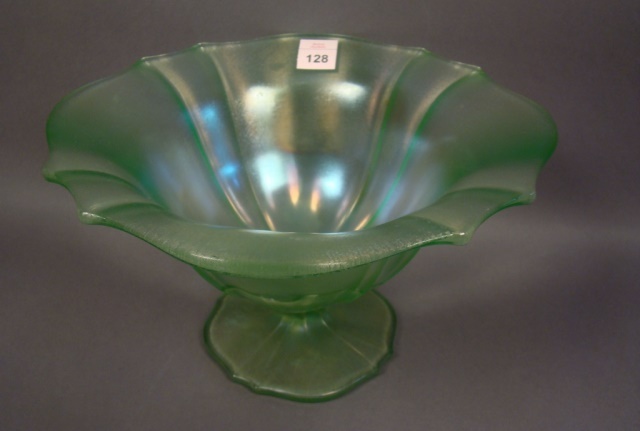 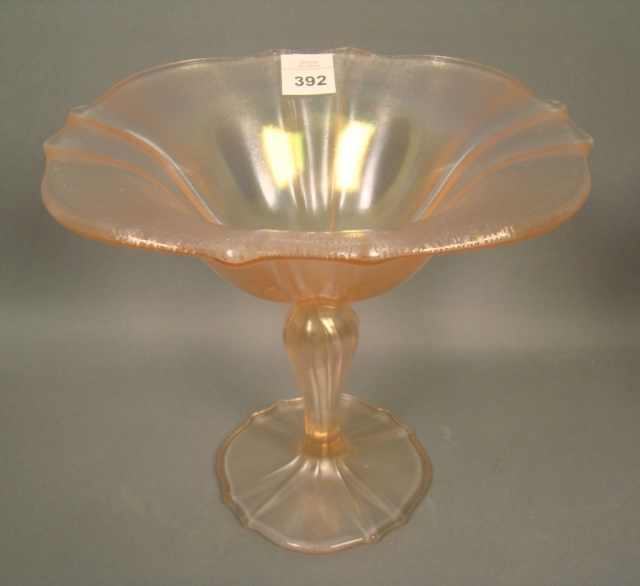 In 2012, a console set consisting of two candleholders and a 9-inch bowl sold for $100. 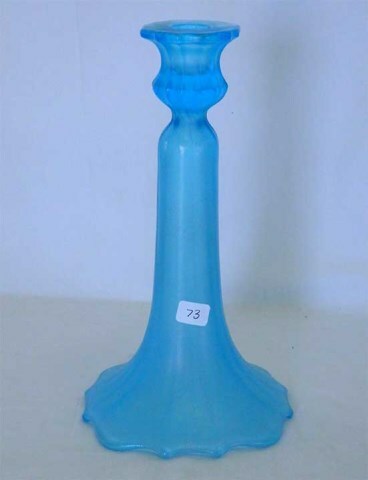 It was listed as vaseline opaque.